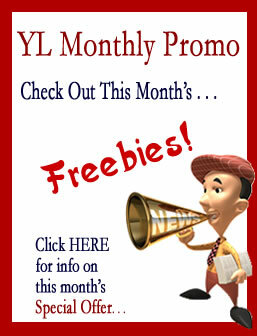 In the years since I founded Young Living, the use of essential oils has grown tremendously. There are many new companies on the scene that sell oils, and many older ones that have expanded their lines. But there are no other companies that can match the quality of our pure, authentic grade essential oils. I want to explain a few of the reasons why this is true so that you, as Distributors, can educate the people who come to you about the importance we place on selling only oils that are pure and natural. 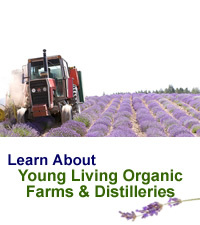 Young Living owns more than 1,800 acres of organic farmland, with over 70,000 square feet of greenhouse space. We water the herbs on our farms with pure mountain water and nourish them with a mixture of enzymes and trace minerals. Chemical pesticides and fertilizers are never used on them. And, because it would be impossible to grow and distill every variety of plant that we offer in our product line, I personally travel throughout the world to inspect our vendors’ fields and distilleries in order to ensure full compliance with our standards for purity. Essential oils are volatile materials derived through a physical process-usually steam distillation-from scented plant materials of a single origin. That means that when an oil is called Lavender officinalis, it should come from a lavender officinalis plant, not from lavendin grosso, and not from a synthetic blend. This is a critical factor that is often overlooked by other companies due to costs and, frankly, to ignorance about the important benefits that come only from true sources. The majority of essential oil producers use distillation methods designed simply to gain the most oil possible from their plant materials. They use high temperatures that may destroy some of the delicate constituents. But keeping the constituents intact is important for potency and effectiveness. That’s why I designed a proprietary stainless steel distillation process that uses low pressures and temperatures in order to preserve the integrity and benefits of the plants. Many companies are concerned only with the fragrance of an oil, so they take out certain parts of it, perhaps the terpene fractions or the sesquiterpenols, and then add synthetics to create what they call a “reconstituted oil.” This type of reconstitution is different from what is done with cartons of orange juice. There the orange juice is dehydrated or freeze dried and water is added again. With reconstituted oils, manufacturers take out natural compounds from essential oils and then add synthetic chemicals to the mix. Although these products are blended to closely match the natural properties of an oil, they don’t work the same as a pure, natural, authentic premium grade oil. Natural oils consist of many compounds. Lavender oil has more than 300 compounds, which makes it extremely hard to make a synthetic version of it. Scientists may combine the main components found in oils, but they can’t create a synthetic oil that has all the same beneficial properties as a natural oil. And they certainly can’t substitute another oil, add synthetics to it, and expect to get the same results a pure oil will provide. Once they are extracted, each batch of Young Living essential oil may receive up to five different chemical analyses from independent laboratories, including the use of gas chromatography, to guarantee the presence of beneficial chemical constituents. What does all of this mean to you? How does this talk of technology, distillation and chemical constituents relate to you? Simply put, it guarantees you, your family, and your customers the absolute highest quality, authentic therapeutic grade essential oils. The end result is that every product carrying the Young Living name provides the highest level of benefit associated with the particular oil used.